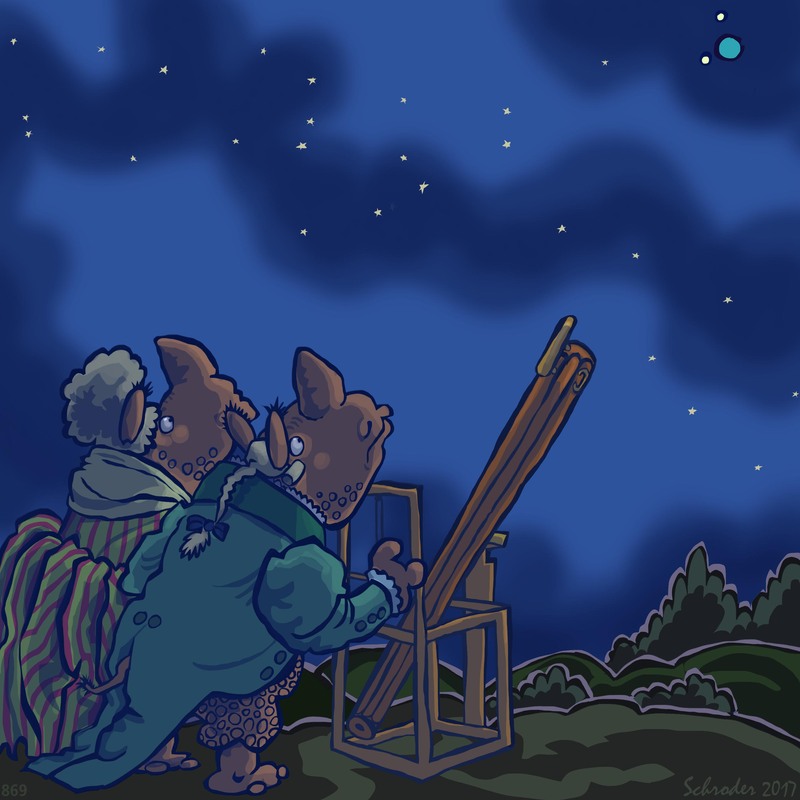 Today in 1781 William Herschel and his sister Caroline discovered the planet Uranus, using his telescope. This revelation was astonishing, since it had been a long time since anybody had found a planet. They also saw two of Uranus’ moons (of twenty-seven). In case you forgot, Uranus is about 1.8 Billion miles away, which is like 720 thousand times around the Earth. Very Big Deal it was, and remains, as discoveries go.